DETROIT—Throughout the United States, as smart growth and progressive urban planning concepts increasingly grab the attention of elected officials and residents alike, one particularly intriguing strategy is bolstering business development by encouraging residents to ride their bikes. Since the first program was launched in six districts in Long Beach, Calif., many other communities throughout North America have followed suit, opening districts in New York City, Oakville, Ontario, and San Diego. and bike rack installations, then promoted them with a gamut of media outlets. The program received great feedback and after the pilot ended, new amenities and initiatives have continued to pop up. The brainchild behind the BFBD program is April Economides, founder of the Green Octopus consulting. She now speaks regularly in cities around the U.S. and Canada and expounds on business arguments for bicycling and sustainability growth strategies. Economides says people see the value in cycling with regards to pollution reduction and public safety, but rarely make the connection between bicycling and local economies. She cites nine reasons why cyclists and infrastructure spur organic growth. and most importantly, creates more vibrant main streets, which increases the perception of safety. Economides thinks small and local business districts are the backbone of our economy and that it’s not surprise they go well together. 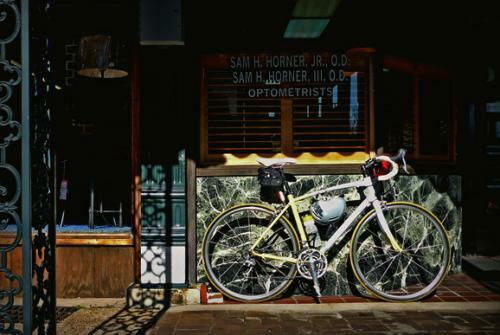 The League of American Bicyclists has also made it easier for states, businesses and communities to become bicycle friendly by providing guidelines and tips for supporting cycling. While Michigan may not have any business districts officially designated as “bike friendly,” we do have bicycle friendly communites including, Ann Arbor, Houghton, Grand Rapids, Lansing, Marquette, Portage and Traverse City. Michigan is also recognized as a leading state when it comes to complete streets policy. three in Detroit: The Hub of Detroit, OMNICORP and The Wheelhouse. two in Lansing: League of Michigan Bicyclists and the Michigan Fitness Foundation. one in Grand Rapids: Mel Trotter Ministries. one in Traverse City: Olson, Bzdok & Howard. 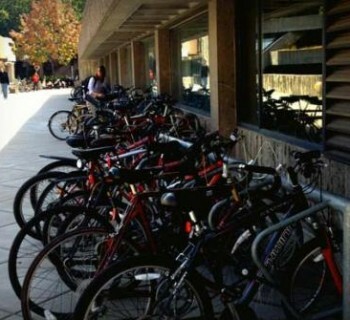 Michigan also has two bicycle friendly universities: University of Michigan and Michigan State University. The Detroit Complete Streets Coalition is continuing its efforts to compel the City of Detroit to pass a complete streets ordinance, and although it’s moving slowly within the city's bureaucracy, if passed it would mandate new road construction projects to consider all users of the road. A program promoting small businesses through cycling seems obvious, but some say it’s an unnecessary step. 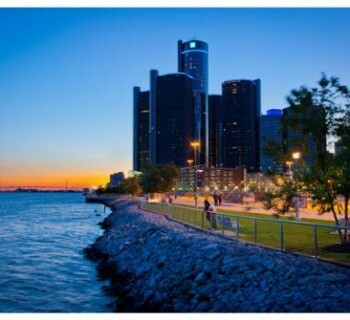 Detroit has many public and private efforts, including food delivery and recycling by bicycle; organized rides and tours; and educational programming, but there is no one organization dedicated to unifying them in a way that spurs economic development. “Frankly I'm not sure I see the point,” says Todd Scott, the Detroit Greenways Coordinator for the Michigan Trails and Greenways Alliance. “Why wouldn't you make all of your business areas bike friendly? If it were attached to a big chunk of funding then I can see it making more sense. 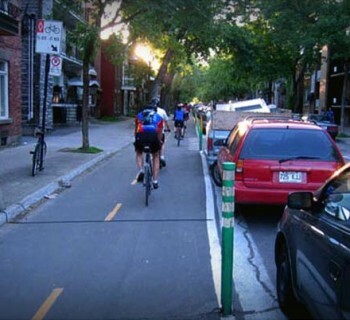 “Otherwise I see Vélo Québec’s model for encouraging bicycle friendly businesses as a better approach,” he said. All in all, Piana says there are going to be partnerships no matter who or what organizes them.